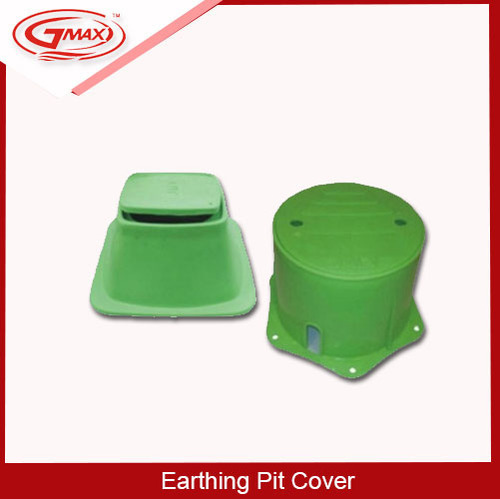 We are the leading manufacturer and exporter of super quality of Earthing Pit Cover. This Earthing Pit Cover is known for the high level of efficiency. It provides in the protection and inspection of earthing pits. Environment friendly, rust proof, heavy duty, weather proof Poly plastic earth pit chamber. Established in the year 1999, we, Gmax Electric, are engaged in manufacturing and supplying a wide range of optimum quality Earthing Electrodes & Accessories. The product range offered by us is inclusive of Chemical Earthing, Copper Bonded Earthing Rods and Copper Bonded Electrodes. These earthing rods and accessories are manufactured from quality assured materials that are sourced from trusted vendors. Known for their high electrical conductivity, rugged construction, easy installation and longer serving life, these earthing rods and accessories are manufactured in accord with the industry set norms and regulations. The offered earthing rods and accessories are highly demanded in various commercial, industrial and residential establishments for efficient grounding purposes. In addition to this, the offered grounding rods and accessories are available with us in user-defined specifications. Available with us at industry leading prices, these grounding rods are valued among our customers.